Hi All, yesterday on a visit to some wheat stubble my lightweight magnet motor failed (again) for the 3rd time. This one is shown online but not a cheap option, if it is even what you need? Lots of motors similar on the bay but nothing to replace this one, most are only 4 or 6 mm shaft size, this one is much heavier quality, I did contact A1, AA and UK shoot warehouse but got no help, still looking. 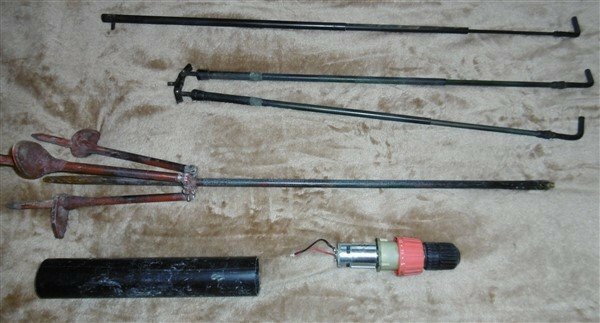 Try looking for battery drill motor and gear box , looks very much like an in-line drill or screw driver set up arrangement, plastic gears are for light duty go for metal gears. 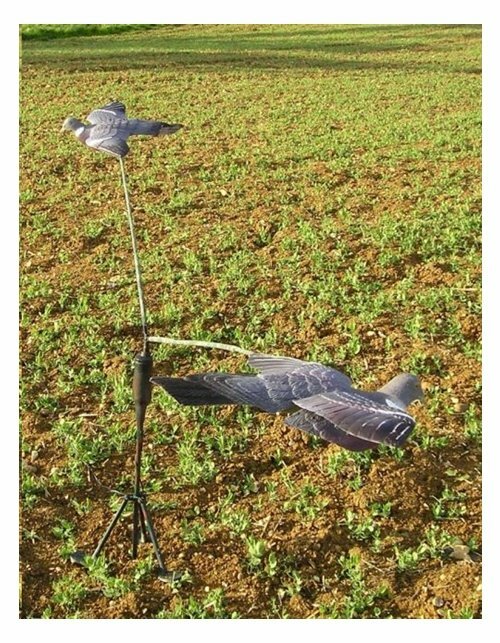 Made a light weight one some years ago , used artificial birds and worked fine for several years till like me got worn out.? Worth looking at any old drills and screwdrivers when the battery dies and the cost of replacing the battery can exceed the cost of buying a new tool if you like to make your own rotary's. Deny .. You are a ruddy GENIUS ! Guess who's got a battery-less 12v drill/driver in his workshop (somewhere) and a need to upgrade the puny motor on his home-made lightweight whirly . My spare magnet motor started life as a windscreen motor , my mate bought the magnet second hand well over twenty years ago , when he packed up shooting 15 years or more he gave it me for nothing , since then I have got through several batteries , had the arms welded up a few times and yet the motor have never let me down and is still reliable , last year I bought another one off a P W member that is a lot lighter than mine so my old one is now in semi retirement . Forgot to add it is possible to use a drill variable trigger as a speed controller with some fiddling, but some can get hot to the degree of melting plastic so wise to mount in a metal box as a heat sink if possible. As a follow up to a battery drill rotary home build I found some of the parts used of an old one I used to use after a shed tidy in the picture above, made for use with artificial birds. Parts in the picture top to bottom. Double fold up carbon telescopic arms, each arm near the same size as the single arm. Fishing tripod rod rest with kicker /stabilisation plates made and attached with glassfibre. plastic pipe which can be used to hold and encase the motor although in the above picture the motor was locked in the tube with glassfibre. Not shown , head scratching, naughty expletives and the odd hurt finger , but fun when it works out right. Hope it helps you kit diyers.